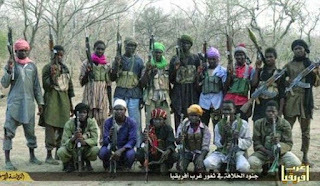 The Borno Police Command on Sunday confirmed the killing of seven persons after suspected Boko Haram terrorists attacked Malari Village in Konduga Local Government Area of Borno. Aderemi Opadokun, the Commissioner of Police, stated this while speaking with journalists in Maiduguri. “Information available indicates that suspected terrorists attacked Malari village in Konduga local government area on Saturday around 22:30 hours. “The attackers burnt down some houses and killed seven persons in the village situated along Konduga-Maiduguri road,” Opadokun said. He said that security agents had already commenced investigations on the issue. Over 15,000 people have been killed since the Boko Haram insurgency began in 2009.